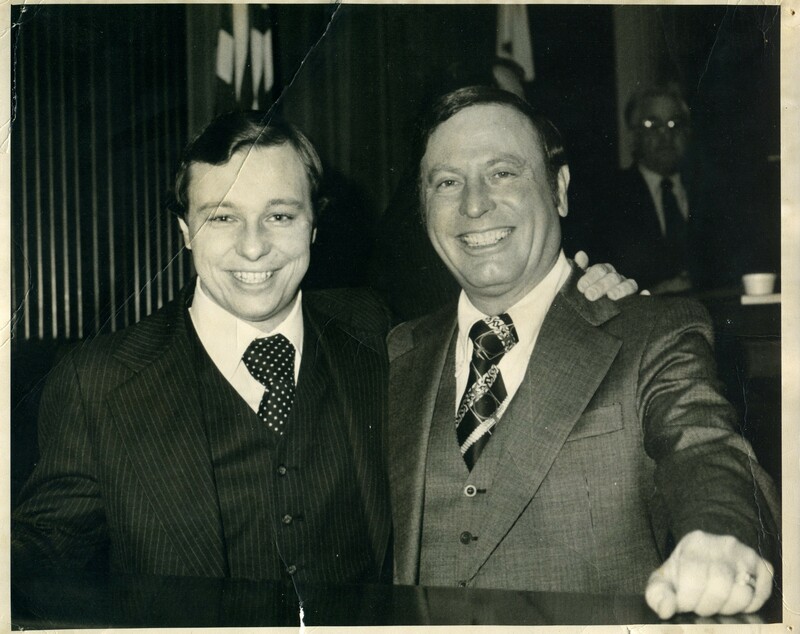 The photo was taken in 1979, when Gary Hannig was first elected as a Democratic member of the Illinois House of Representatives. He would go on to represent the 98th District until 2009. He resigned his position when Governor Pat Quinn appointed him to be Director of the Illinois Department of Transportation. In District 98, Gary Hannig was succeeded by his wife, Betsy Hannig. In 1979, the Democrat Alan Dixon was Secretary of State in Illinois (1977-1981) and served as U.S. Senator from 1981 until 1993. 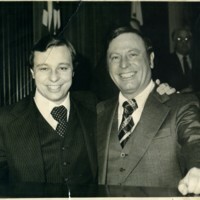 A photograph showing Gary Hannig with Alan Dixon at around the time he was first elected to the Illinois House of Representatives. “Photograph of Gary Hannig and Alan Dixon, 1979,” UIS History Harvest, accessed April 19, 2019, http://uishistharv1.uis.edu/items/show/245.